What happens when someone you adore and consider a sister, officially becomes your sister? A BIG celebration. I met Elizabeth in 2009 when she began an internship with Bridal Bliss. 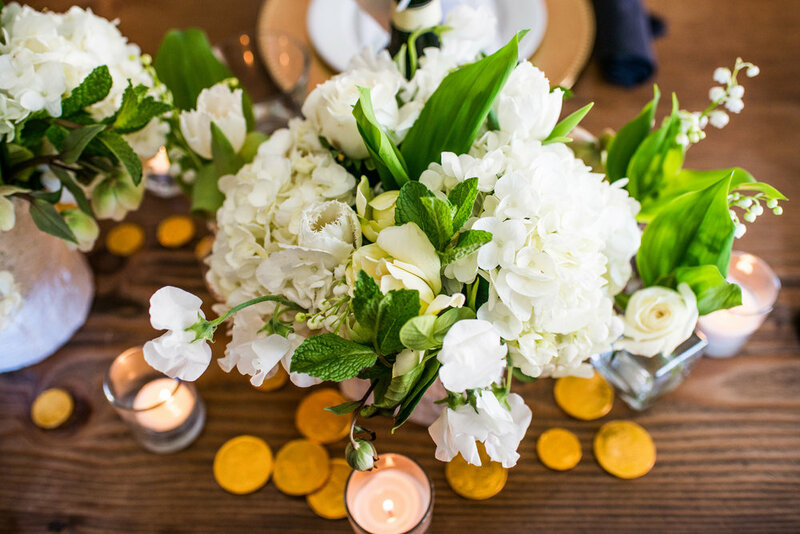 She is now a full time planner, coordinates some of our most lavish events and manages our Seattle office! A few years after we met, I set Elizabeth up with my brother-in-law Tim, and the rest is history. 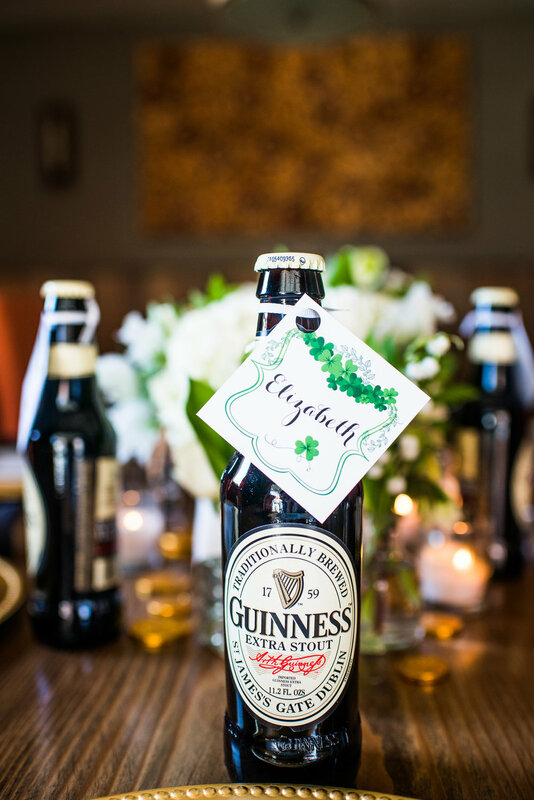 Last St. Patrick's week was filled with celebrations for their nuptials! You know when a wedding planner gets married, we pull out all the stops! When two wedding planners are on it...watch out. My other sister-in-law, Courtney and I were able to sneak in a bridesmaids luncheon for Elizabeth between manis/pedis and the rehearsal on the jam-packed weekend. With the event on St. Patrick's Day (Elizabeth's favorite holiday), we utilized greens and whites for a lovely lunch at Baird's on B in Lake Oswego. 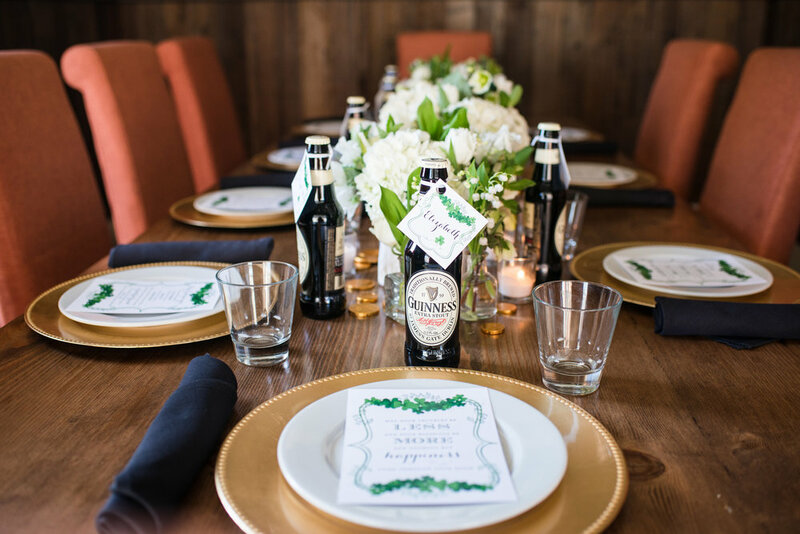 Each guest had a personalized Irish blessing at her place setting which was adorned with gold chargers, a place card fastened to a bottle of Guinness, chocolate coins and lush white flowers. Elizabeth's mom, mother-in-law-to-be and bridesmaids enjoyed day drinking, a fabulous meal and excitement for the epic events to follow! A special event for a very special lady.